Conceived as a place with various environments adapting itself to different uses depending on the moment of the day, Otto offers a wide range of possibilities without the need to leave the downtown area. 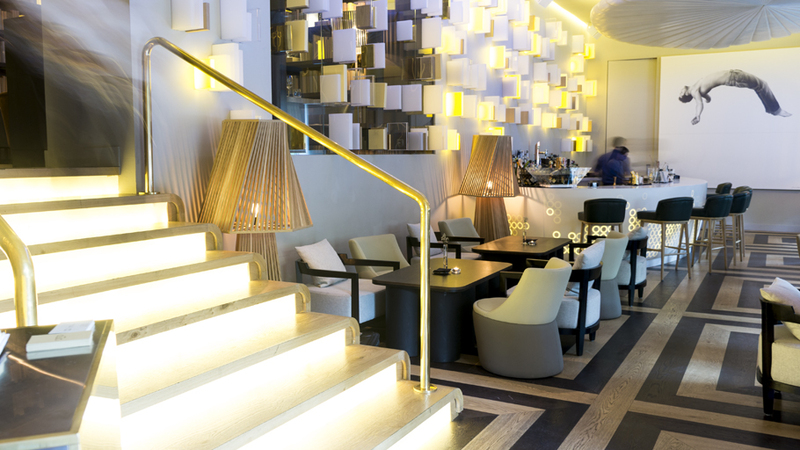 Either you can have a drink and have a snack in the lounge area and terrace, or you can enjoy a funny surprising food variety in its restaurant or even arrange a meeting; everything becomes possible in any of the Otto spaces in Madrid. 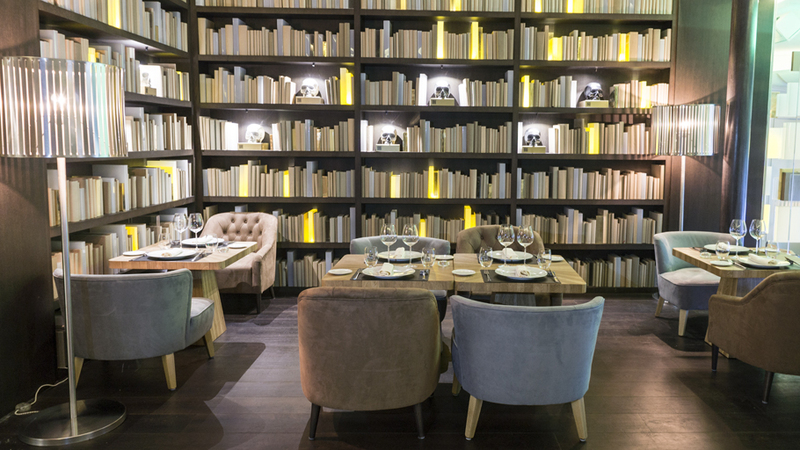 This transgressive casual concept perfectly matches with the avant-garde style of the place, located in Paseo de la Castellana, one of the most iconic areas of the Spanish capital. 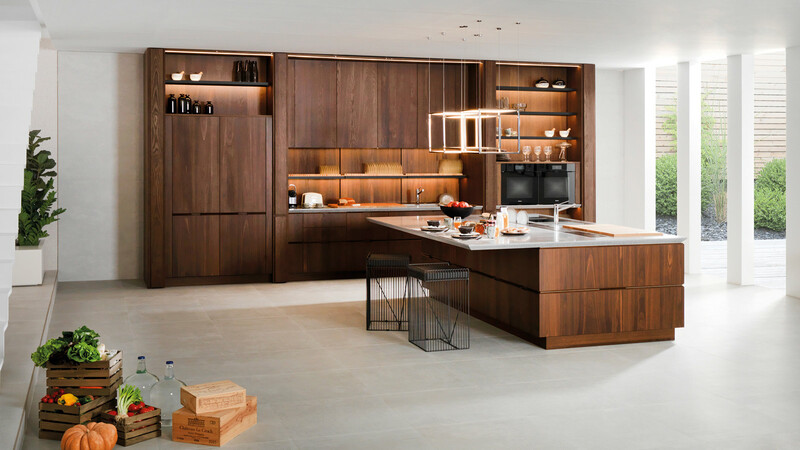 In order to get this carefully thought-out appearance, those in charge of the Otto Madrid interior design put their trust in the materials and products of some of the PORCELANOSA Group firms. 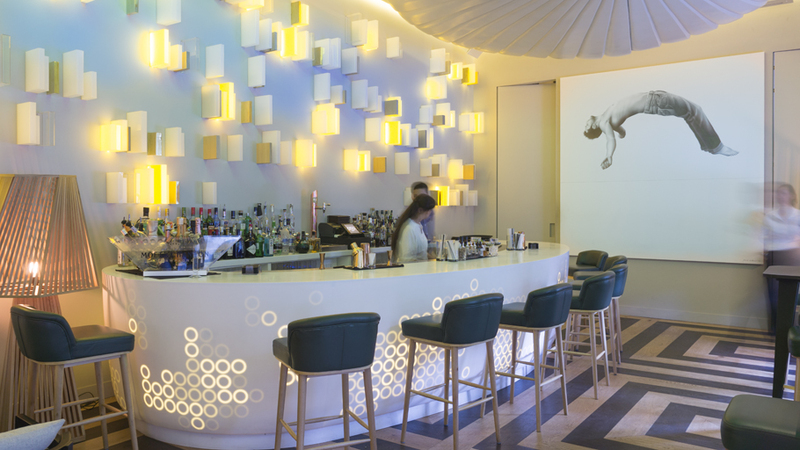 So, the renowned interior designer Tomás Alía has used the solid surface developed by PORCELANOSA Grupo with the aim of giving shape to the curved bar of the lounge area. It is perfect material for this use because of its high resistance and its additive-free anti-bacterial quality. 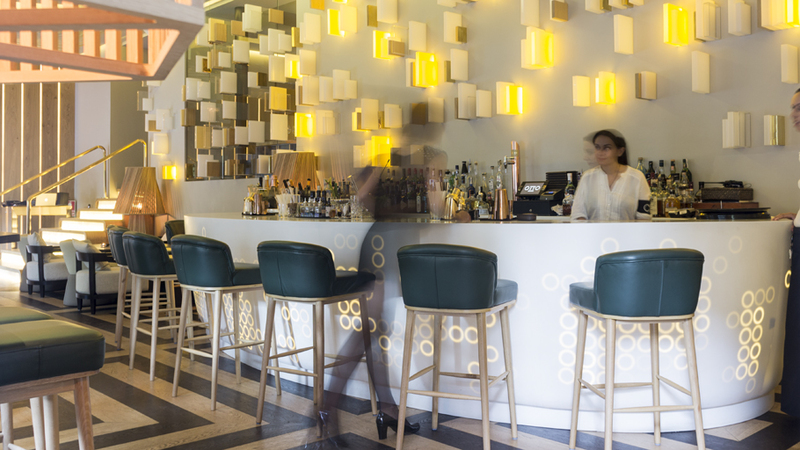 In order to achieve a more fashionable and different effect, the rounded design of the bar has been highlighted by means of circles of light, bas-relief milled over the backlit Krion® surface. A very striking effect which has become one of the icons of the place. 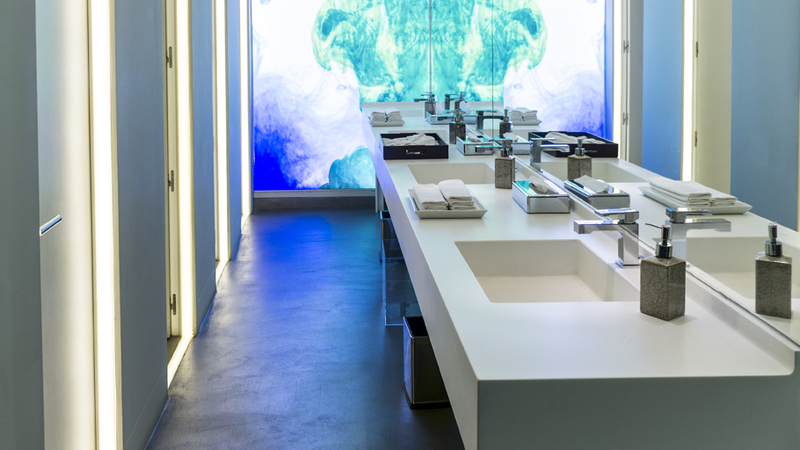 We can also find the Krion® solid surface in the bathrooms. It has been used to make the countertops and basins with a unique design specifically made for the project. 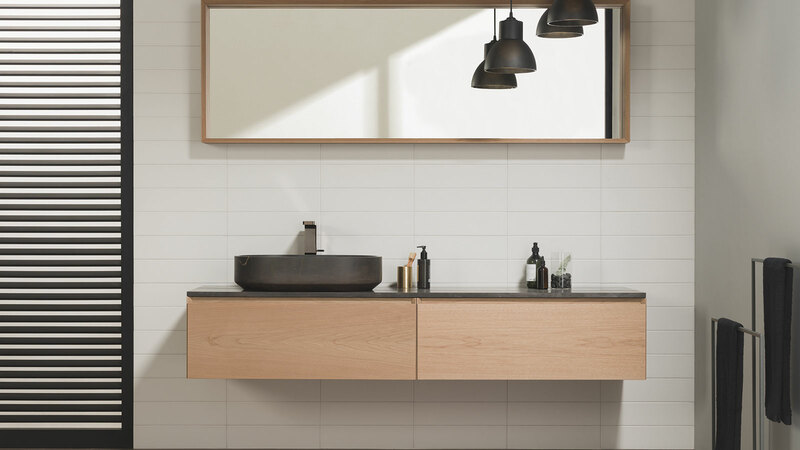 In addition to that, in order to keep a coherent style, the bathroom equipment has been completed with the present urban design of the NK Logic basin taps and the sanitarywares of the Arquitect collection, both of them by Noken.